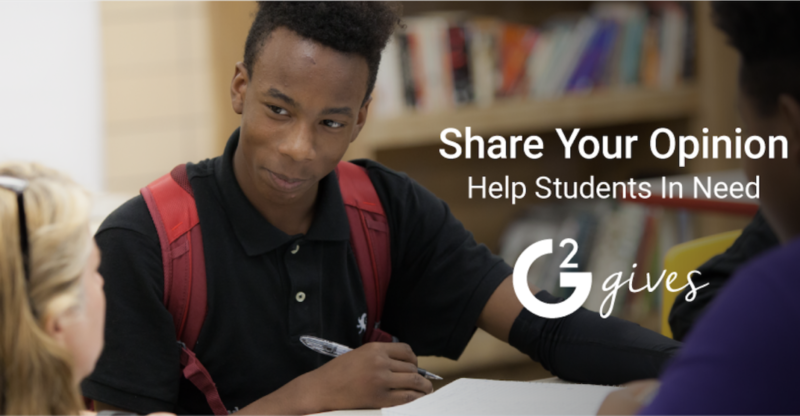 G2 Gives was created because the team at G2 Crowd is passionate about giving back to the community. 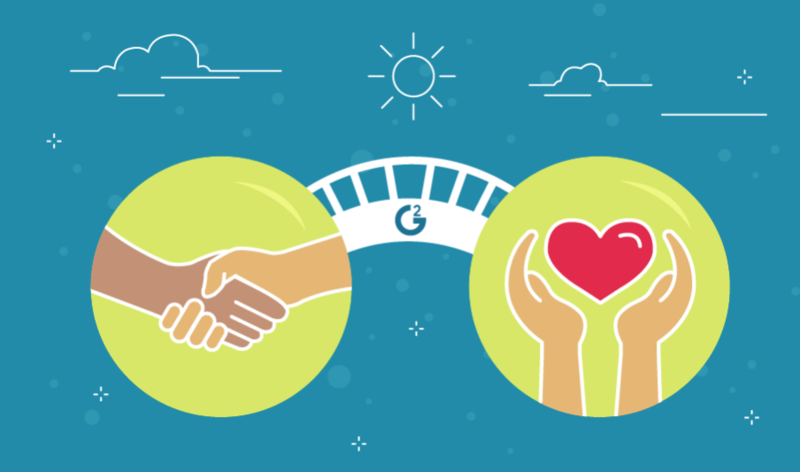 Through the G2 Gives initiative, we have created a bridge between the business and nonprofit worlds. Every review we gather equals a monetary donation to a charitable organization that is changing the world. One of G2 Crowd’s values is “Be Compassionate and Authentic”. Not only does this value define how we interact with our clients, vendors, and one another, but most importantly it is the lens through which we experience the world. 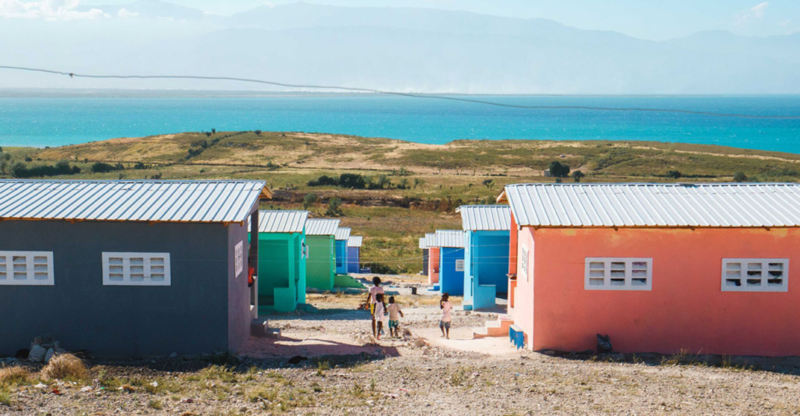 We believe that one of the most significant ways we can be compassionate and authentic is by giving back to the communities that are most in need. We are a team of individuals who want to change the status quo and are willing to take action to make it happen. With G2 Gives, we’re able to work toward making the world a better place while supporting our mission to bring transparency to B2B buying. You leave a review. G2 Crowd Gives. Encourage your customers to write a review of your product. We’ll create a custom landing page specifically for your campaign and for every validated review submitted, G2 Crowd will donate to an agreed upon charity. Ask your employees to review the software or services they use in their own job. If you run an internal review campaign, not only can you still direct donations toward an agreed upon charity, but we’ll also provide you an analysis of how your employees feel about the software your company utilizes. Take 10 minutes to write a review of a software or service you use at work and we will donate $10 to your choice of charities below! Simply click the name of the charity and you’ll be on your way. What is the cost of a review campaign for my company? Nothing. G2 Crowd will donate $10 per validated review submitted. Running a campaign with us for charity costs your company nothing! Can we pick our charity? G2 Gives is currently partnering with select charities at this time. You can see a full list of the different places you can donate under the “Current Review Initiatives” tab above. However, if your organization is passionate about or has an existing relationship with a different charity, we would still like to help! 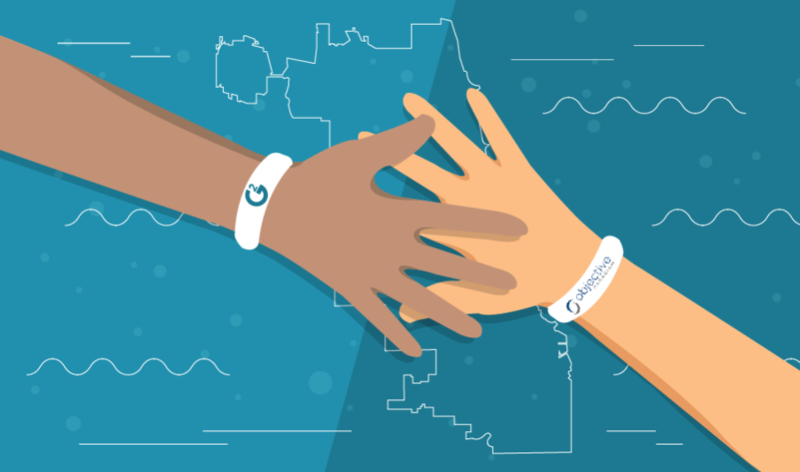 Reach out to g2gives@g2crowd.com for more information on a custom program. Can I pick my charity? G2 Gives is currently partnering with select charities at this time. You can see a list of the different places you can donate under the “Review Initiatives” tab above. Any organization noted in that section is fair game to receive donation from our review campaign. Will every review be eligible for a donation? Unfortunately, no. In order to keep the information on our site relevant and useful to our users, we moderate every review. Your review will be validated by our team to ensure the review was written by a real person and meets our quality guidelines. You can read more about what qualifies as a valid review in our community guidelines. Can I write a review of any product? The large majority of the software and services on our site are eligible to review. If you do not see the solution you want to review, add it here. Is there a maximum number of reviews I can write? The sky is the limit! If you submit 100 verified reviews, we will donate $1,000 to whichever of the eligible charities you specify. My grandmother, brother, great-aunt, and sister’s roommate want to submit reviews! Can I share this link with them? Absolutely! Tell everyone you know. Share it on Facebook, do a blog, write a poem, send a note by Pony Express. Help us get the word out! How often will funds be donated? Funds will be donated on a quarterly basis. G2 Crowd’s quarters end in January, April, July and September. How does money get added to the fund? If a nonprofit G2 Crowd user requests additional information from a software provider via G2 Crowd, the revenue that G2 Crowd generates will be donated to the G2 Crowd’s Ongoing Giving Fund. In the final quarter of 2015, G2 Crowd’s Ongoing Giving Fund will be supporting the _____ Tech Charity. For more information on the Ongoing Giving Fund, please contact G2Gives@g2crowd.com. Are you a vendor wanting to partner with us to run your own review campaign for charity? Send us an email! We will help you decide whether to run a campaign with your customers or an internal campaign with your employees and we’ll set-up all the tools you need to be successful and make an impact. Are you a potential reviewer wanting to help us change the world? Choose one of our current review campaigns from above and review a software or service you use at work to make a difference today!